The General Administration of Quality Supervision, Inspection and Quarantine in China had announced at the end of January that they decided to cancel the inspection and quarantine over food grade and feed grade vitamins for export from February 2018 ongoing. In China, some vitamins used to need a special Customs Clearance of Exit Commodities or a Customs Clearance of Entry Commodities by authorities in order to be exported. The vitamins that were affected by these regulations have been unmixed vitamin A, unmixed vitamin B1, and unmixed vitamin D, besides others. With the cancellation of the inspection and quarantine, a factor that caused a time delay and cost increase before has been removed for Chinese vitamins exporters. As a result, reduced export costs are expected in China which will likely support the vitamin export in 2018. This is a remarkable step, looking at the fact that China is currently the world's largest vitamin producer as well as the biggest exporter. Chinese enterprises reached this level even the pretty high export costs and complicated customs procedures have often left a bitter taste for manufacturers and traders, which were calling for deregulation before. Now with the cancellation of this obstacle for Chinese vitamin enterprises, the export will experience a lift in enthusiasm and investment. The cancellation of export commodity inspections will reduce the costs of exporting producers, and the simplified procedure will also benefit traders. This will stimulate the export of vitamins in China in 2018. According to the official data by China Customs, the country exported more than 250 thousand tonnes of vitamins in 2017, which represents an uptrend of 13.47% compared to 2016. 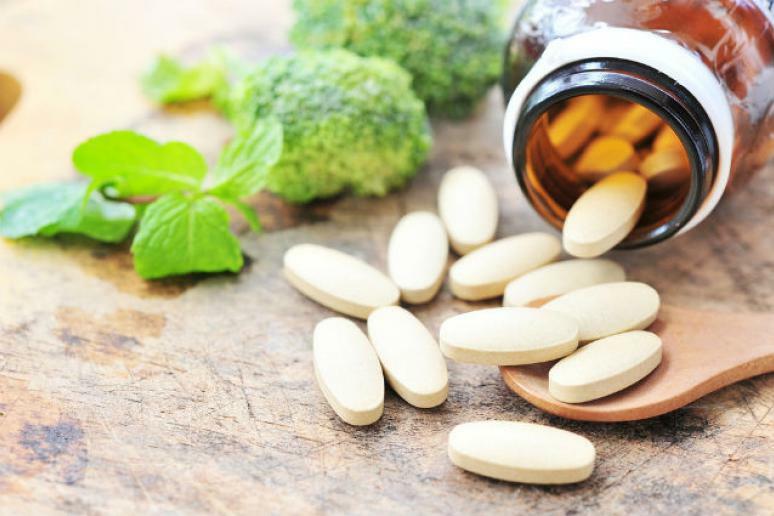 The export volume of vitamins kept rising in China in December 2017, and it increased month by month in the fourth quarter. In terms of month, the export volume in Feb. 2017 was the lowest that year, while from September to December, export volume increased month by month. In 2017, the export volume of vitamin C was the largest, reaching almost 150 thousand tonnes, compared to 110 thousand tonnes in 2016. It was followed by vitamin E export volume. Last year, 68.8 thousand tonnes of VE were exported. Vitamin B12 was exported the least in 2017 with a volume of 347.7 thousand tonnes. All eight vitamins that market intelligence firm CCM has been monitoring oversaw a positive YoY growth in 2017, and vitamin B1 realised a 51% YoY increase in export volume, the largest of all vitamins. From January 2017 to December 2017, vitamin C saw an uptrend both in export volumes and export prices. In December, the export volume and the average export price hit the year's high. China is a major exporter of vitamin C in the world, and the leading enterprises are currently CSPC Pharmaceutical, Northeast Pharmaceutical and Shandong Luwei. In 2017, domestic ex-works prices of vitamin C showed an uptrend. Environmental policies were strict in China, and therefore some enterprises were ordered to suspend production, like CSPC Pharmaceutical. Also, Northeast Pharmaceutical announced in April 2017 its relocation and upgrade plan. Considering that the output might reduce as a result, VC producers rushed to raise their quotations. The increases in domestic prices also stimulated rises in export prices. On January 2018, prices slightly decreased in China as the downstream aquatic feed industry entered into the slack season, and this is expected to have affected the export of vitamin C, which is likely to fall a little. Vitamin A export price increased sharply in December 2017, following a MoM growth in November, when the export volume and price both increased. The significant annual growth of the export price of vitamin A was mainly due to BASF's citral factory fire accident in late October 2017. Affected by the fire, vitamin A price saw an significant growth in Europe. The prices also surged in China, but the growth was smaller than in Europe. In this context, Chinese traders became active in exporting it. In January 2018, vitamin A supply still tightened globally, given the expectation of some European premix producers that BASF cannot resume production until the end of Q2 to the beginning of Q3. Moreover, the world's biggest VA producer, DSM, reported a pipeline pump explosion in last January, which further tightened the global supply. However, despite the reason to cheer for Chinese vitamins exporters, there is still an existing problem in the export business of Chinese enterprises, not only for vitamins but export in general. The Chinese currency Renminbi (RMB) was valued up by the government over the course of 2017 with an annual growth of 6.3%. As a result, the exchange rate from USD to RMB has been changed from 6.9 in the beginning of 2017 to 6.3 at the beginning of 2018. After all, the higher value of the Chinese RMB is reducing the overall revenue of those exporting enterprises, which gain a pretty large amount from their overseas businesses, despite the fact that China's vitamin export was positive last year, thanks to increases in prices. In 2018, RMB continued to get stronger. As of 2 February 2018, the USD/CNY exchange rate was 6.2885. The continuous increases in value made the export more difficult. According to the China Customs, since 2015, China has maintained a growth of vitamin exports for three consecutive years. It is expected that the uptrend will continue in 2018, given the favourable export policy. Get regular exclusive insights in China’s vitamins market by subscribing to CCM’s monthly vitamins newsletter or get a free trial for CCM’s Online Database, containing the whole research and analysis of China’s vitamins market. Join the discussion by subscribing to our groups in LinkedIn and Facebook. © 2015 Kcomber,Inc. All rights reserved. A brand owned and operated by Kcomber,Inc.